Our Favela as we see it! Mass media always has the favelas in its lens, but professional reporters very seldom tell the stories that people who live in shantytowns think most important. With FavelaNews, young journalists from the favelas in the north of Recife, Brazil, use film, photography, and news reporting to tell stories about the beauty, strength, and flavor of their communities. "It's our favela like it really is". As many as 400,000 people a month see FavelaNews videos. 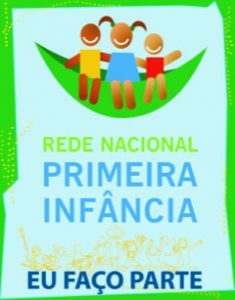 FavelaNews Acredita: No poder de transformação social da mídia alternativa No poder das mulheres e das crianças no poder da periferia Lutamos: Pela igualdade social e de gênero Pelo acesso à arte, saúde e educação de qualidade Pelo respeito a diferença Pelo direto à expressão. FavelaNews emerged from the Cartography of the Favela, a collaboratively researched book with young men from the favelas of Recife. The Cartography used film and hip-hop to understand the underlying causes of violence and to find community resources to resist it. Project funded by Bernard Van Leer Foundation. Shine a Light has been successful because individual donors give us the freedom to experiment and test new ideas. Be a venture capitalist for social transformation! Shine a Light teaches the digital arts to marginalized children all over Latin America, so that their communities can come to see themselves - and show themselves - in a new light.